oh, man... the commercial applications are endless. I can hear his phone ringing off the hook from Ad Agencies as I type. Prett cool. Looks good. I want to wait until they have the full pants suit version before getting one myself. 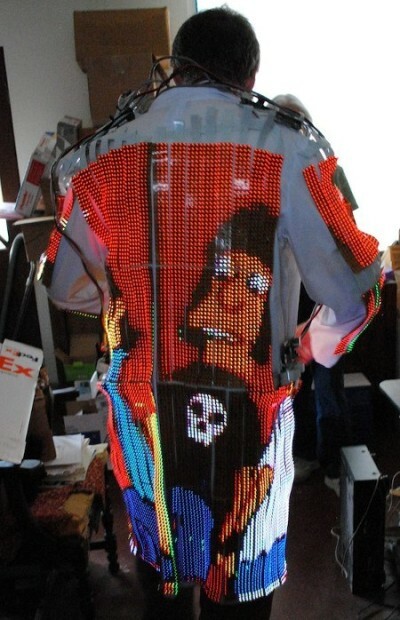 The Video Coat is a 60" LED video display built onto a lab coat. 160x120 pixels, 0.3" (7.62mm) dot pitch RGB. 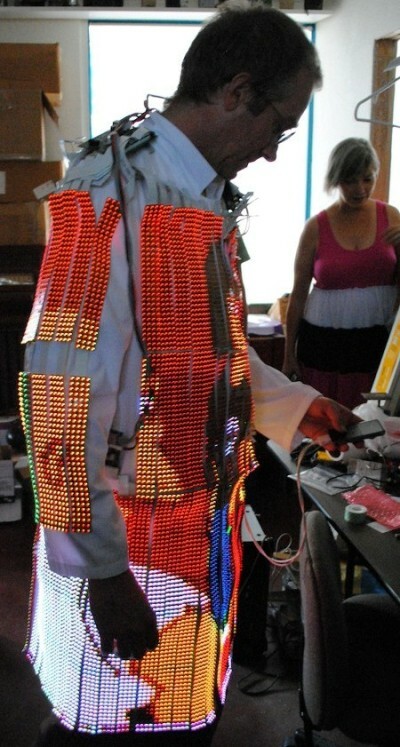 Powered by a 12V battery. plays standard NTSC (North American) analog video from an iPod or DVD player.